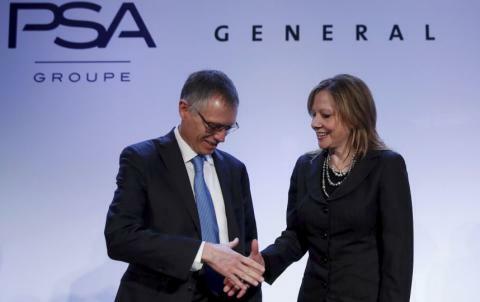 PSA Group, the French automaker of Peugeot and Citroen, said on Monday they have agreed to buy German-based Opel and its British Vauxhall brand from General Motors. They're expected to spend €2.2 billion ($2.3 billion) for the purchase. In a statement released on Monday, the PSA Group said that its takeover of the GM-owned brands - which made €17.7bn worth of revenue last year - would make the PSA Group one of the largest carmakers in Europe. With the acquisition, PSA will surpass French rival Renault and become Europe's number 2 automaker by sales after Volkswagen. PSA sold nearly 3.2 million vehicles worldwide last year. With the purchase of Opel, the figure is expected to increase to about 4.3 million. The deal is expected to conclude by the end of 2017. Opel has been a major European business for GM but sales have been sluggish for a long time. GM will, in effect, exit from the European market by selling Opel. PSA Chief Executive Officer Carlos Tavares told reporters that Opel's turnaround will significantly accelerate with PSA's support. He expressed his intention to turn Opel's business into the black by 2020. He also said that his company is “deeply committed to continuing to develop” both Opel and Vauxhall, to help “accelerate its turnaround”. "We are proud to join forces with Opel/Vauxhall and are deeply committed to continuing to develop this great company and accelerating its turnaround,” Carlos Tavares said. “We respect all that Opel/Vauxhall’s talented people have achieved as well as the company’s fine brands and strong heritage. We intend to manage PSA and Opel/Vauxhall capitalising on their respective brand identities. Having already created together winning products for the European market, we know that Opel/Vauxhall is the right partner. We see this as a natural extension of our relationship and are eager to take it to the next level."